Manchester United are set to face Northampton Town in their first EFL Cup fixture on Wednesday evening, and a win is vital for Mourinho’s men after losing their last three games. Despite the League Cup being one of the lesser attractive pieces of silverware available to obtain for the top clubs, José will still want to have a stab at winning it this season. With David De Gea expected to be rested by Mourinho, in comes Sergio Romero, who has not yet featured for the Red Devils this season. At right-back is Timothy Fosu-Mensah. 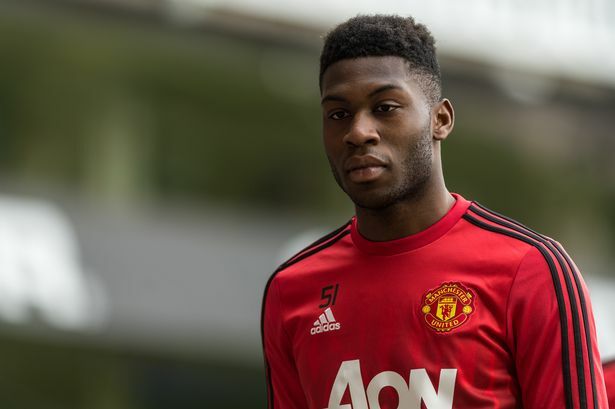 José’s starting right-back, Antonio Valencia, will most likely be rested for the game, and with Matteo Darmian failing to hit his stride this season, Fosu-Mensah may be given a run out by the Portuguese boss. Chris Smalling’s name was cemented into the team-sheet under Louis van Gaal, but has since managed to struggle to feature regularly this season due to the fantastic performances of Eric Bailly. However, he should start tonight. Daley Blind formed a formidable partnership with Smalling last season, and after being rested for the 3-1 loss to Watford, should regain his place in the starting eleven against Northampton. With Luke Shaw set to miss the game with a minor groin tear, in steps Marcos Rojo in his place. However, due to Rojo’s questionable form, Fosu-Mensah may play in this role, with Darmian slotting into right-back, or vice versa. Northampton will be looking to go at an under-performing Manchester United side, which is why Schneiderlin’s ball-winning ability is essential in midfield. The Frenchman will look to screen the defence and break-up play where possible, and should start. Carrick’s distribution will be vital tonight as the midfield have lacked a calming influence on the ball in their last three games, which have all ended in defeat. Carrick seems to be a name Mourinho has forgotten about, but a positive performance tonight could remind him. Ander Herrera should also start the game, as we need someone who can occupy a space in the final third from midfield. He will replace Pogba, who is expected to be rested tonight in time for the game against Leicester on Saturday. Although Memphis is miles away from a regular first-team starting role, Mourinho could opt for him tonight due to Martial needing rest for the upcoming Premier League fixture. If so, a golden chance for a player who has failed to find his form since making the big money switch from PSV Eindhoven. Ah, Wayne Rooney. A player who has split the fanbase entirely, with more seeming to switch to the ‘Rooney Out’ side after what was a lacklustre performance against Watford. Rumours suggest Rooney could lose his place in the side for the Leicester game, which could mean he is given a starting role up front today. If Mourinho wishes to start Rashford and Ibrahimovic at the weekend, which he probably will, Rooney very well could occupy the striker’s role tonight. If not, Rashford may start as United look to utilise his pace to get behind the Northampton back line. Another player who has failed to lay claim to a consistent starting role is Juan Mata, but he could start tonight as Mourinho looks to rotate his squad. Ashley Young is another who has dropped in and out of the side of late, and could also start on either wing.